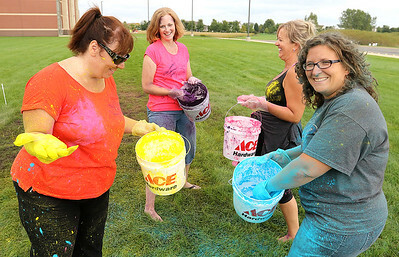 H. Rick Bamman - hbamman@shawmedia.com Heineman Middle School PTO volunteers from left Michelle Janey, Rose Bredlau, Mary Claps and Marcie Nosek reialize that they are all covered in the dust during the "Color-a-Thon" fundraiser. 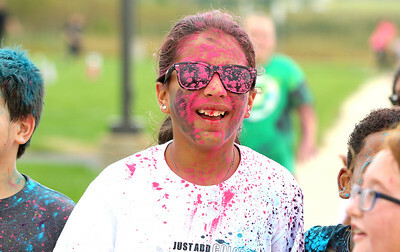 H. Rick Bamman - hbamman@shawmedia.com Heineman Middle School students are dusted in powder during a "Color-a-thon" on Friday. 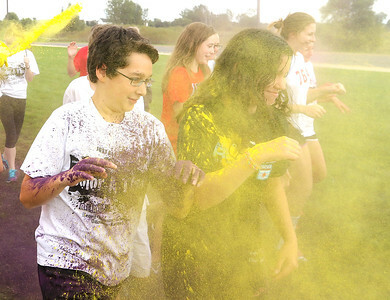 H. Rick Bamman - hbamman@shawmedia.com Heineman Middle School students are dusted during the PTO hosted a "Color-a-thon" to raise money for new technology for the media center and grants for faculty. 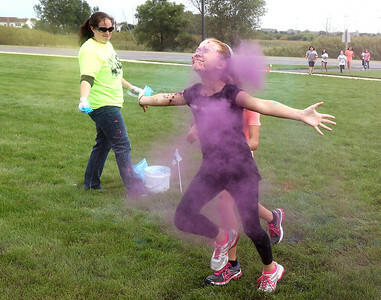 H. Rick Bamman - hbamman@shawmedia.com Heineman Middle School PTO volunteer Mary Claps dusts students during the "Color-a-thon" to raise money for new technology for the media center and grants for faculty. 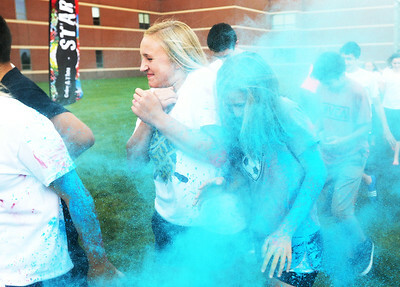 H. Rick Bamman - hbamman@shawmedia.com Heineman Middle School students are dusted in blue powder during a "Color-a-thon" on Friday. 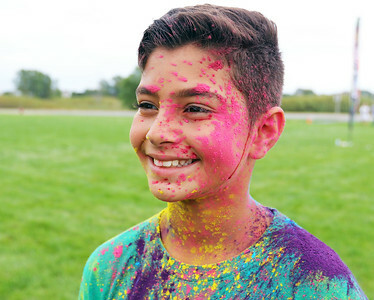 The school's PTO students have been raising funds for new technology for the media center and grants for faculty. As of Friday they have rasied over $11,000 for the project. 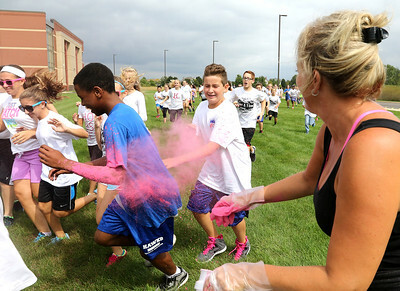 Heineman Middle School PTO volunteer Mary Claps dusts students during the "Color-a-thon" to raise money for new technology for the media center and grants for faculty.